Volburg Ltd. is an Electronic Manufacturing Services (EMS) Company, specializing in manufacturing of electronic assemblies (PCBA) and modules since it establishment in 1996. Our focus is manufacturing of PCBAs as well as system integrated solutions including mechatronics, cable-harnessing, software uploading and testing. We have solid experience with a number of industries, however our main specialty lies in industrial, automotive and energy saving areas. 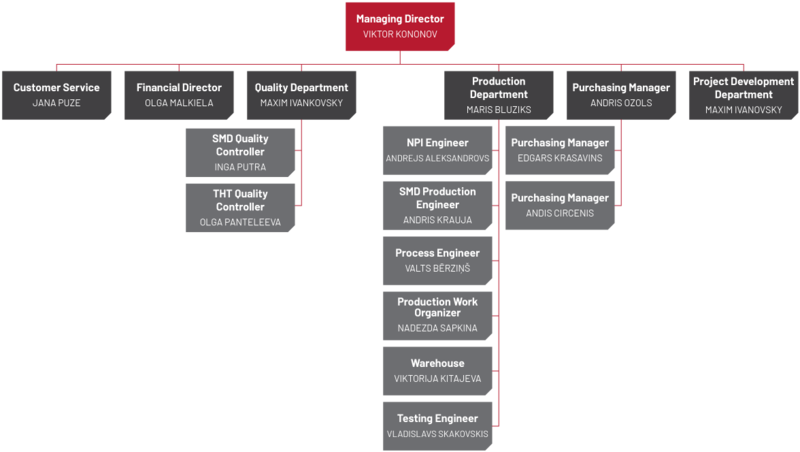 Volburg has a long track record in industrial electronics sector with experience converting complex client requests into viable high-tech solutions. We are able to provide additional facilities, expertise, and value-added services, offering more competitive and comprehensive solutions to fulfill the needs of clients. Volburg exports 80% of products to the EU: Germany, UK, Scandinavia (Sweden, Norway, Denmark, Finland). Export of products has increased from 10% to 80% in 10 years. Since 1996 Volburg continues to be loyal to the philosophy of company – “We do our best for customers – we grow and earn our reputation together.” This philosophy is reflected in statistics – Volburg has never lost any client due to quality or service reasons. First pass rate in acceptance testing is 99,5% and delivery performance is 95% Volburg form partnership with companies Matorex AB, STE-Vikan, Accilator Volburg Automotive. Projects and logistic chain to automotive OEMs. Advanced technical solutions for automotive. Head-up display capabilities to the commercial and passenger transport. Design and supply of advanced actuation devices.